Bio-hybrid fungi; textile power storage; long-lasting aluminum batteries. Researchers at Stevens Institute of Technology combined a white button mushroom, electricity-producing cyanobacteria, and graphene nanoribbons into a power-generating symbiotic system. Cyanobacteria, while fascinating, has found limited use in bioengineering due to its short lifespan on artificial surfaces. White button mushrooms, which naturally host an array of microbes, turned out to provide the right balance of nutrients, moisture, pH, and temperature for the cyanobacteria to survive better: several days longer when placed on the cap of a mushroom versus silicone or a dead mushroom. To create the system, the team used a robotic arm-based 3D printer to first print an electronic ink containing graphene nanoribbons, which served as an electricity-collecting network atop the mushroom’s cap. On top of that, they printed the cyanobacterial “bio-ink” in a spiral pattern, intersecting with the electronic ink at multiple points. These contacts allowed electrons to transfer from the outer membranes of the cyanobacteria to the conductive network of graphene nanoribbons. Shining a light on the mushrooms activated cyanobacterial photosynthesis, generating a photocurrent. 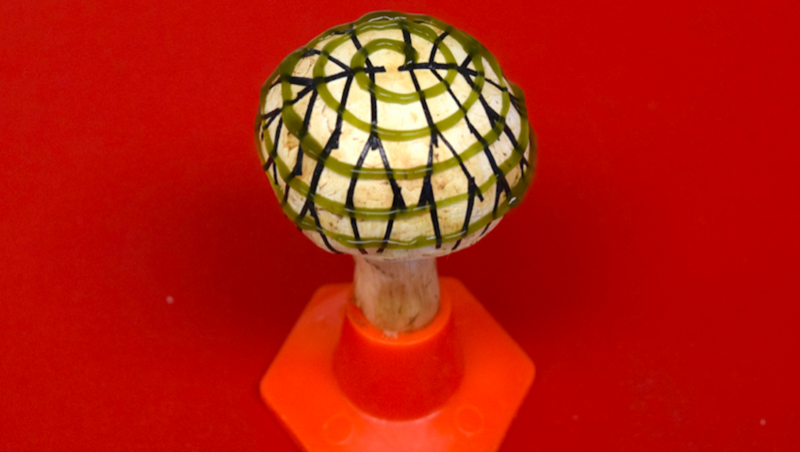 In creating the ‘bionic mushroom,’ the researchers were able to tune the arrangement of the cyanobacteria to boost its electricity-producing activity eight times compared to casted cyanobacteria using a laboratory pipette. 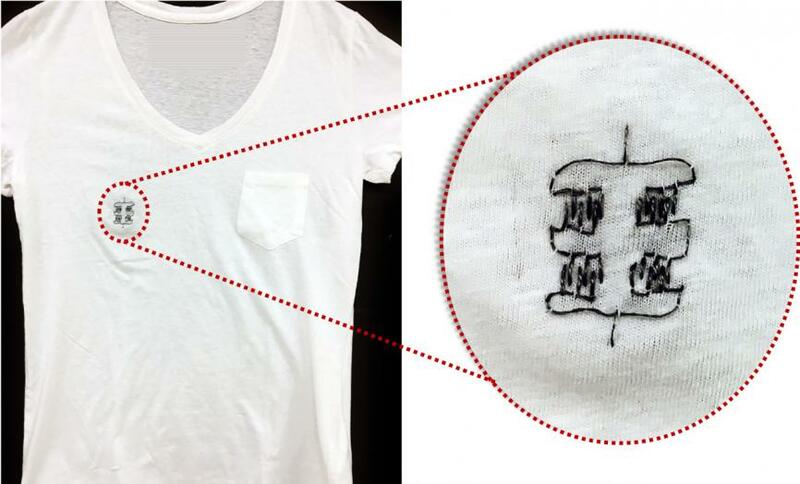 Scientists at the University of Massachusetts Amherst developed a way to embroider clothing with a solid-state charge-storing system that could power wearable biosensors. The device uses a micro-supercapacitor and combines vapor-coated conductive threads with a polymer film, plus a special sewing technique to create a flexible mesh of aligned electrodes on a textile backing. According to the team, supercapacitors are ideal candidates for wearable charge storage circuits because they have inherently higher power densities compared to batteries. “Batteries or other kinds of charge storage are still the limiting components for most portable, wearable, ingestible or flexible technologies. The devices tend to be some combination of too large, too heavy and not flexible,” said Trisha L. Andrew, a materials chemist at Amherst. The vapor coating process creates porous conducting polymer films on densely-twisted yarns, which can be swelled with electrolyte ions and maintain high charge storage capacity per unit length as compared to prior work with dyed or extruded fibers. The researchers are now working on incorporating the embroidered charge-storage arrays with e-textile sensors and low-power microprocessors to build smart garments that can monitor a person’s gait and joint movements throughout a normal day. Researchers at MIT propose a new way to prolong the life of nonrechargeable aluminum-air batteries: temporarily replacing the electrolyte with oil. While aluminum-air batteries are lightweight, high capacity, and cheap compared to lithium-ion batteries (making them useful as range extenders for electric vehicles), they degrade quickly while not in use. A typical rechargeable Li-ion battery loses about 5% of charge after a month in storage; aluminum-air batteries, on the other hand, lose about 80%. The culprit is corrosion. The electrolyte separating the electrodes eats away at the aluminum while not in use. To get around this, the team added a thin membrane between the battery electrodes. While the battery is in use, both sides are filled with a liquid electrolyte. But when the battery is on standby, oil is pumped into the side next to the aluminum electrode. When the battery is used again, the oil is pumped away and replaced with electrolyte. With this system, energy loss was cut to 0.02% per month. Key to this is a property of aluminum called “underwater oleophobicity.” When the metal is immersed in water, it repels oil. As a result, when the battery is reactivated and electrolyte is pumped back in, the electrolyte easily displaces the oil from the aluminum surface, which restores the power capabilities of the battery. Tests of the battery showed that when it was repeatedly used and then put on standby for one to two days, the design lasted 24 days, while a conventional design lasted for only three. Plus, even with the oil and pumping system, scaled-up battery packs for use in electric vehicles were still five times lighter and twice as compact as rechargeable lithium-ion battery packs. The team has filed for patents on the process.